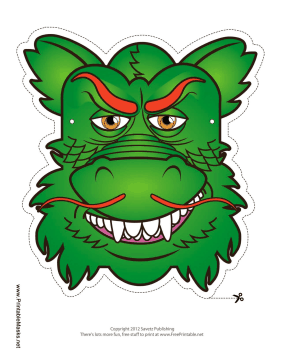 A green Asian dragon mask like this one is perfect for Chinese New Year or any other Asian holiday. Asian dragons are often lucky, so perhaps wearing this mask will be your good luck charm! This mask is free to download and print.